Superbook whisks Chris, Joy, and Gizmo back to ancient Persia, where a wicked man named Haman is plotting to kill the Jews. The children meet Queen Esther, who must decide whether to risk her life by going to the king and revealing that she is Jewish or do nothing while her people are destroyed. The children learn that God will always help them stand up for what is right. Superbook: Esther DVD by Superbook was published by Charisma House in August 2017 and is our 3287th best seller. 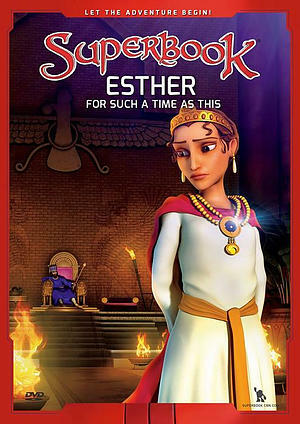 The ISBN for Superbook: Esther DVD is 9781943541317. Be the first to review Superbook: Esther DVD! Got a question? No problem! Just click here to ask us about Superbook: Esther DVD.